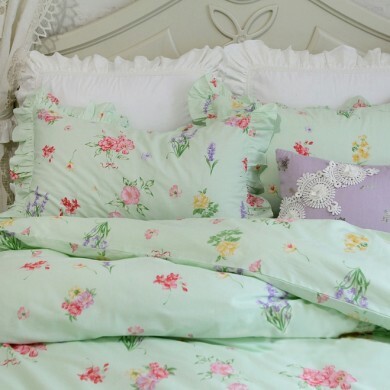 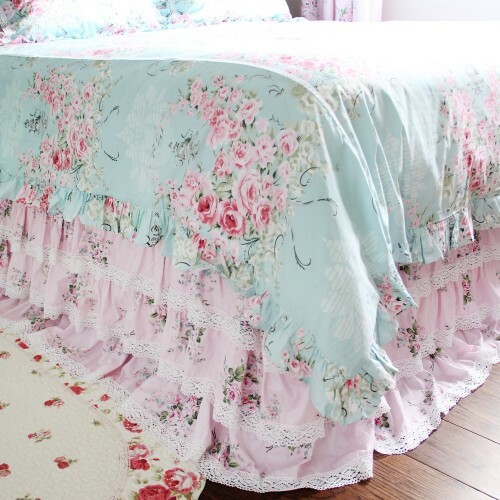 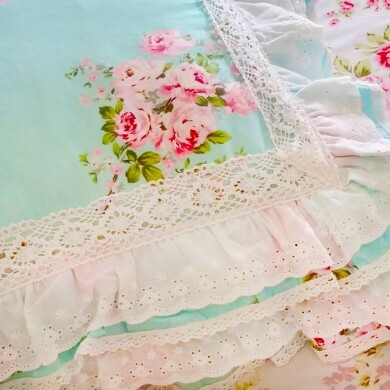 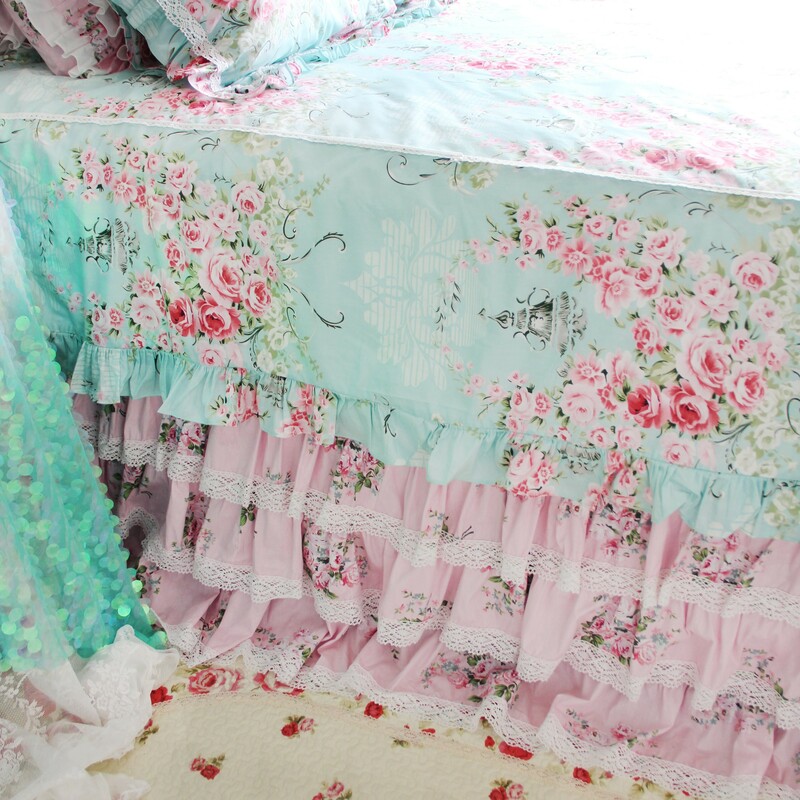 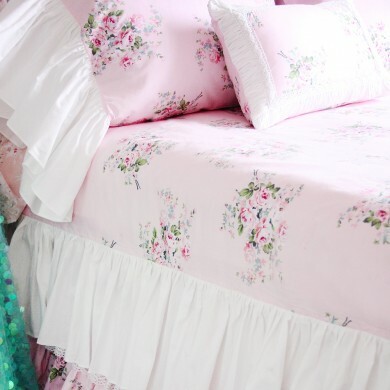 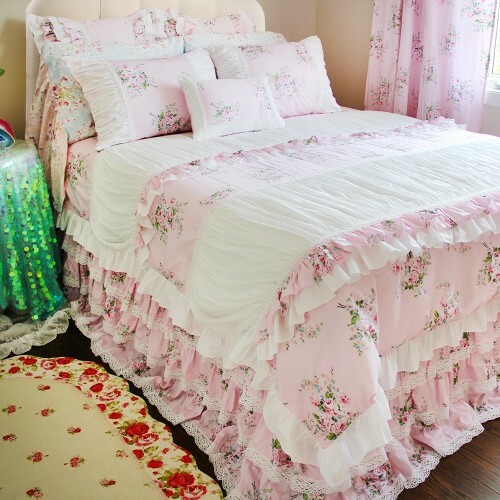 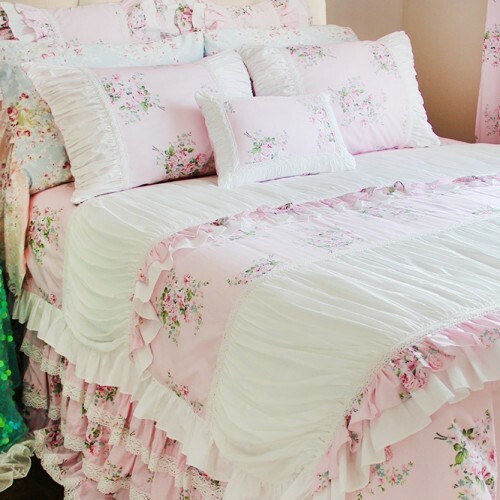 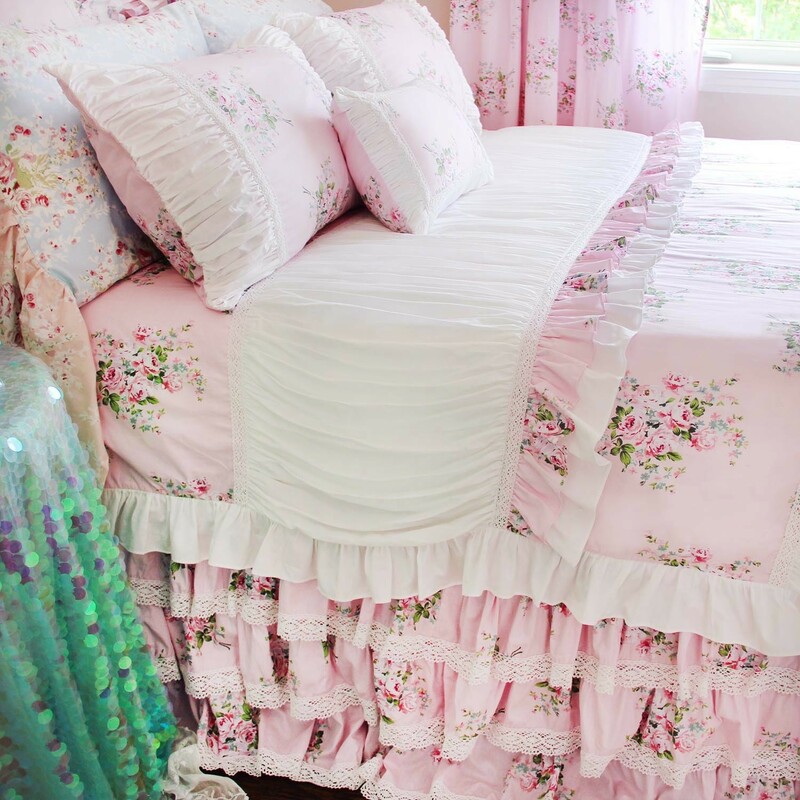 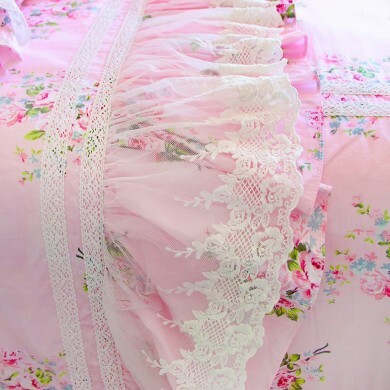 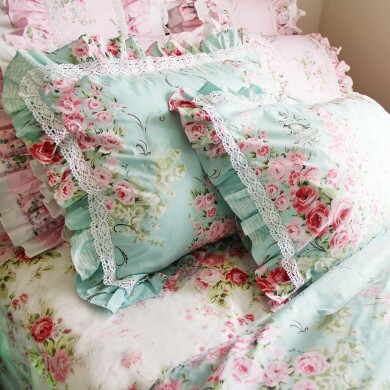 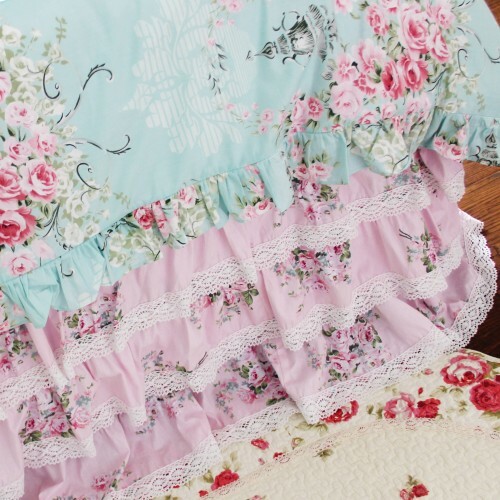 A classy, very sophisticated tiered bed skirt in a pretty pink rose cotton fabric. 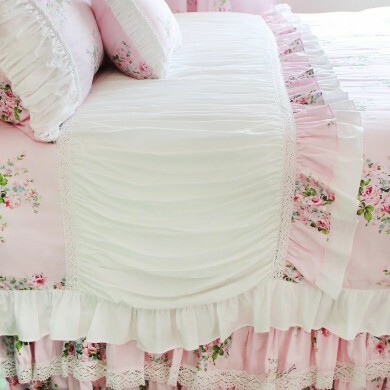 Luxury 3 layers of ruffles. 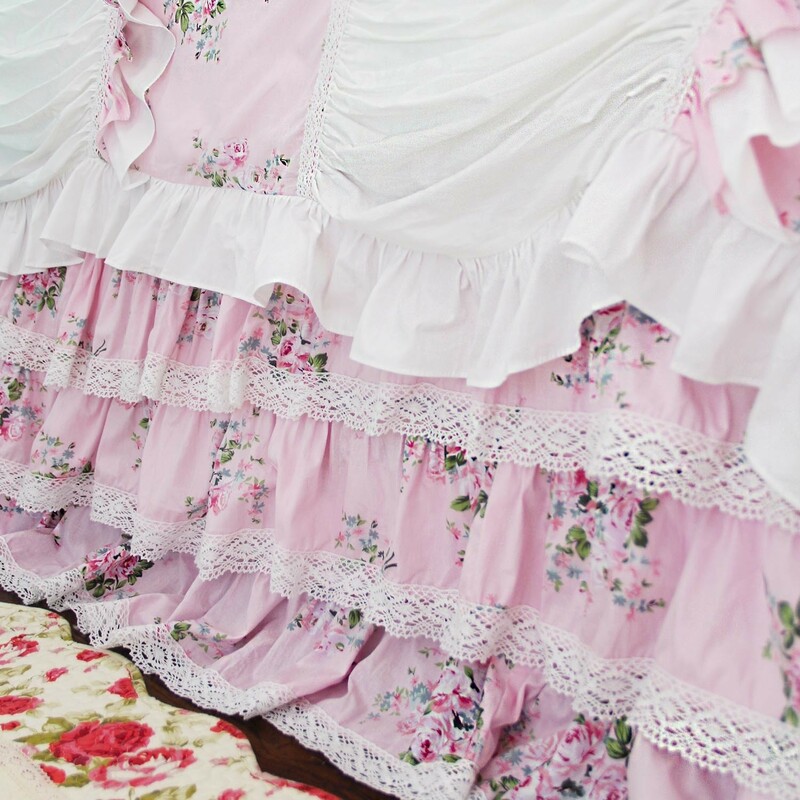 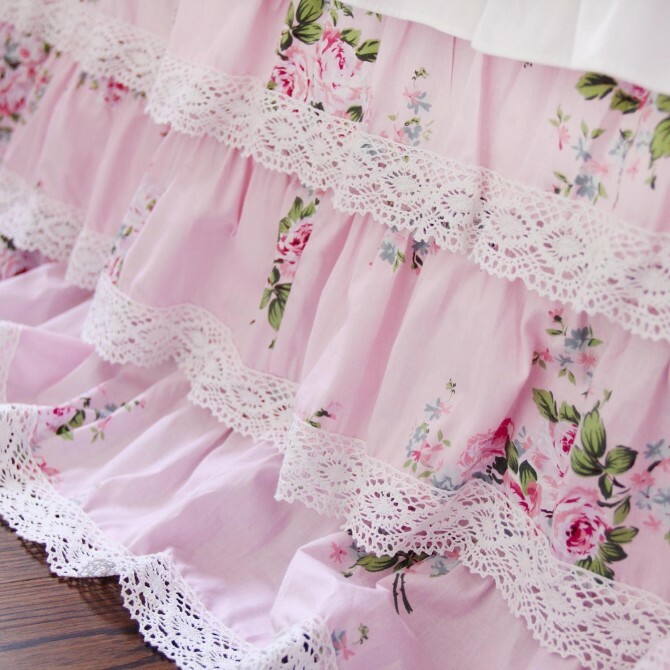 Each ruffle is decorated with white crochet lace at the bottom. 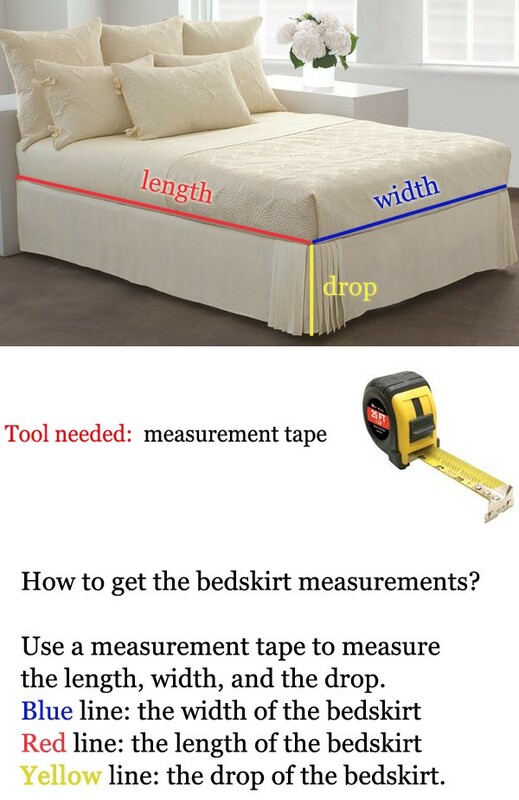 If you have a foot board and side rails on your bed, you must split the corners to accommodate the rails. 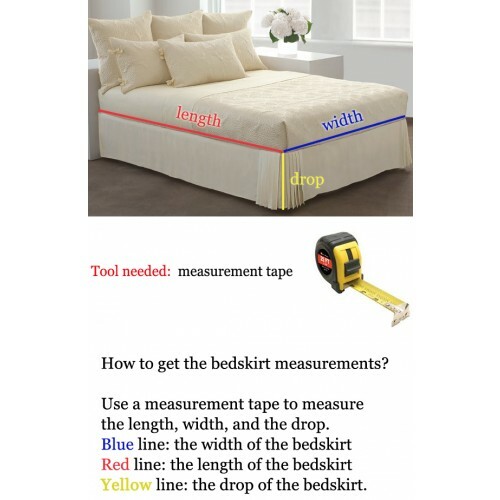 Please choose the split corner option if it is needed. 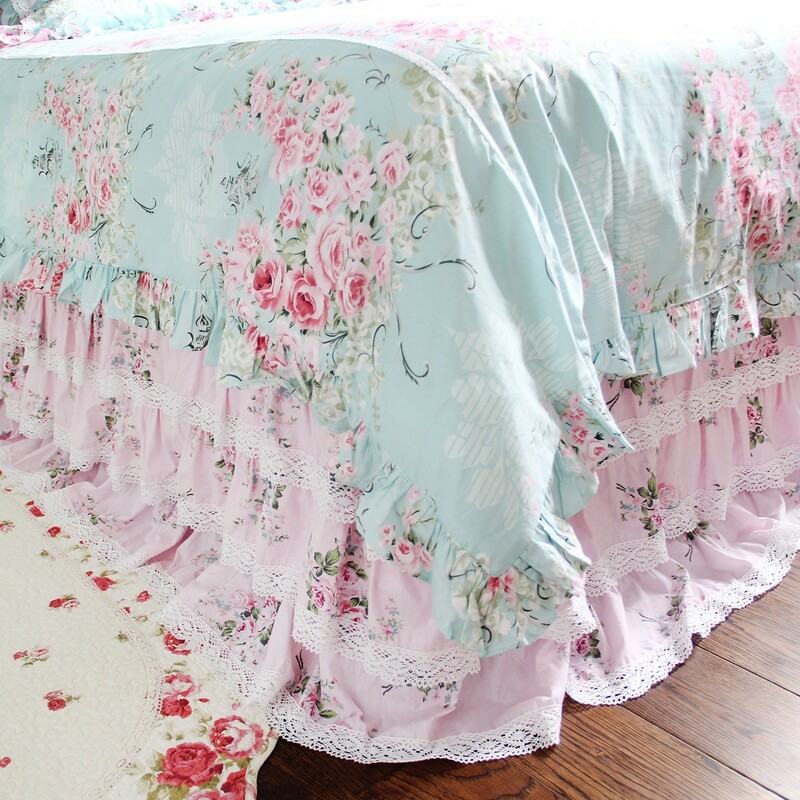 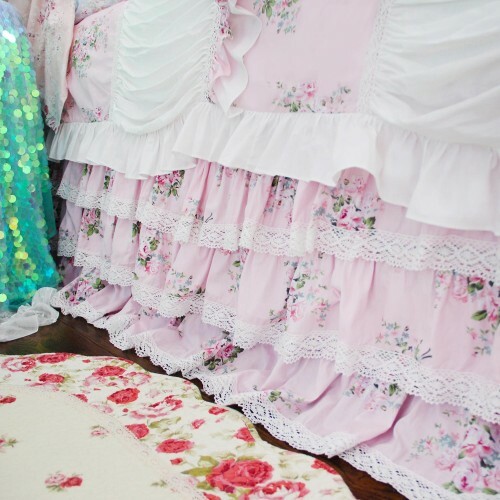 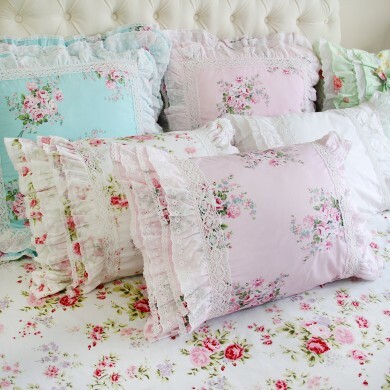 Otherwise, the bed skirt will be made in one continuous piece without the split corners. 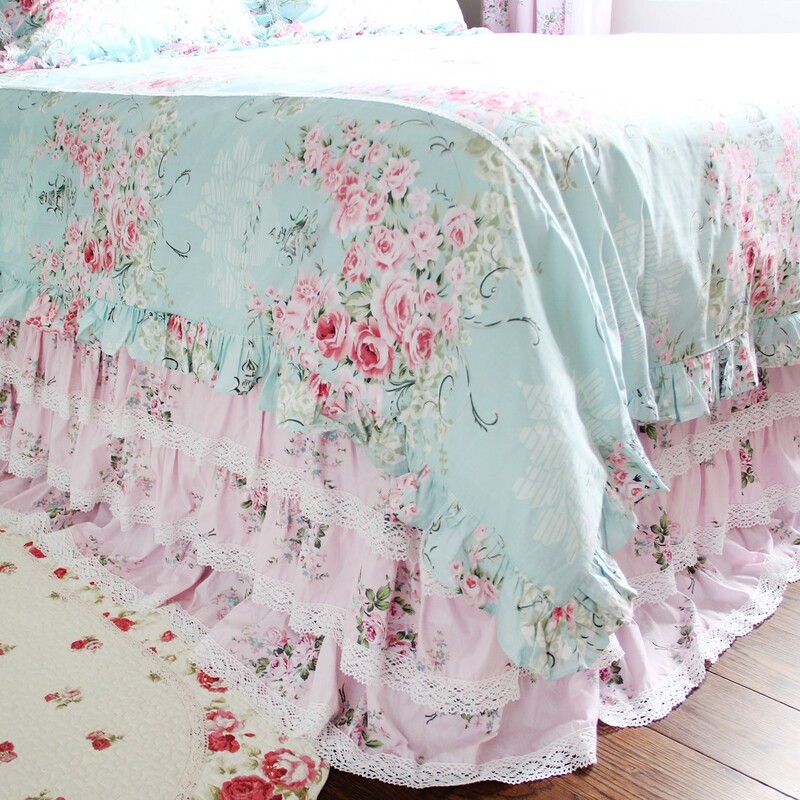 The main picture shows the bed skirt with the split corner.